Avocado dressing as a healthy replacement for ranch dressing! 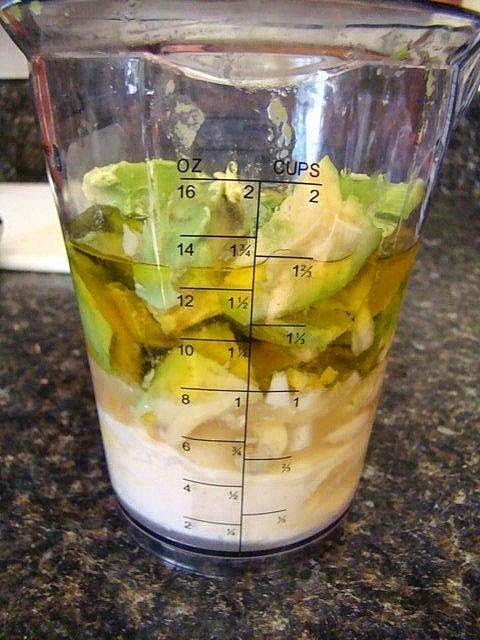 Put all the ingredients in the blender and blend for 2-3 mins. Enjoy with your favorite salad! Avocados are a super food and they're also one of the best foods you can eat, packed with nutrients and heart-healthy compounds. Here are five great reasons to eat them regularly. How much does it make? How long will it stay fresh in refrigerator?